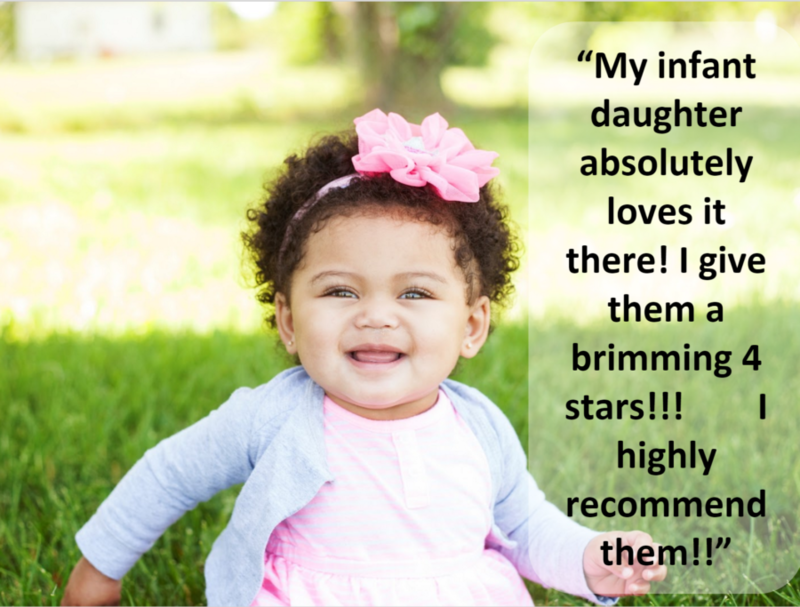 Are you looking for a great preschool for your child? 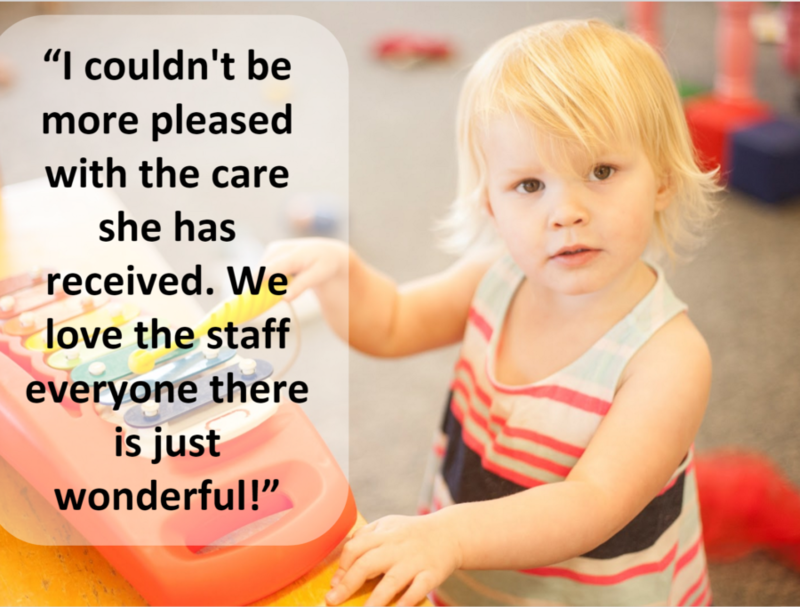 A place where your child’s safety and your peace of mind is a priority? Daystar has a secure keyless entry and fingerprint check-in system, along with a fenced in playground. 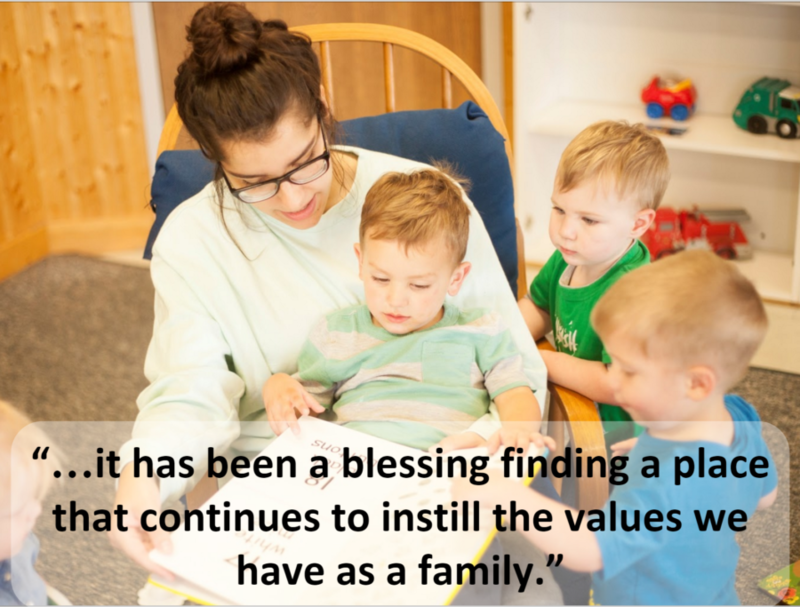 A place where your child will be loved and nurtured? Daystar operates as a ministry of South Flint Tabernacle. 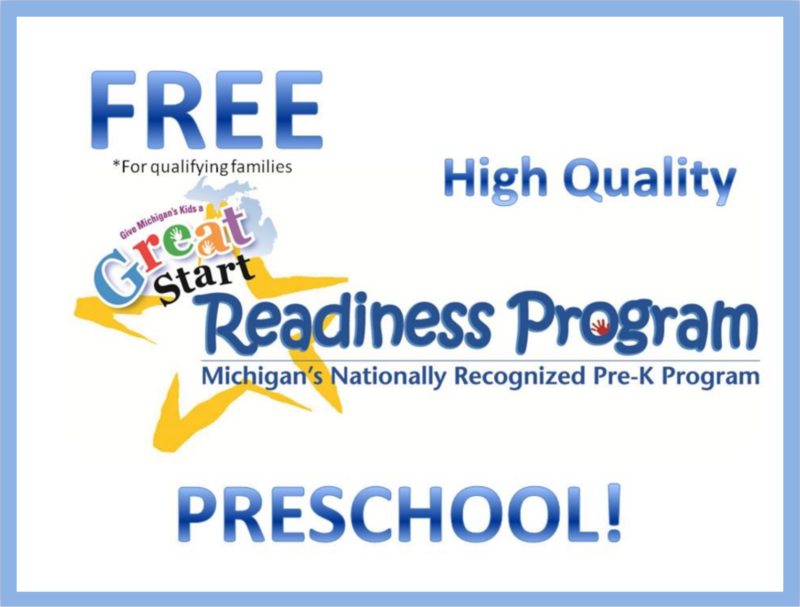 A preschool and child care provider that is committed to high-quality early learning? A program that offers flexible scheduling and reasonable rates? 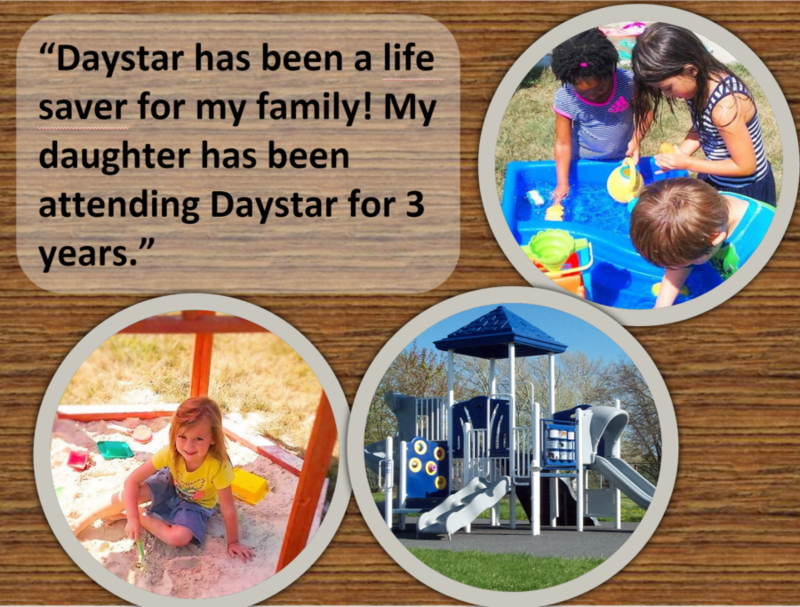 Daystar offers convenient options to help meet the demands placed on today’s families. Look no further! 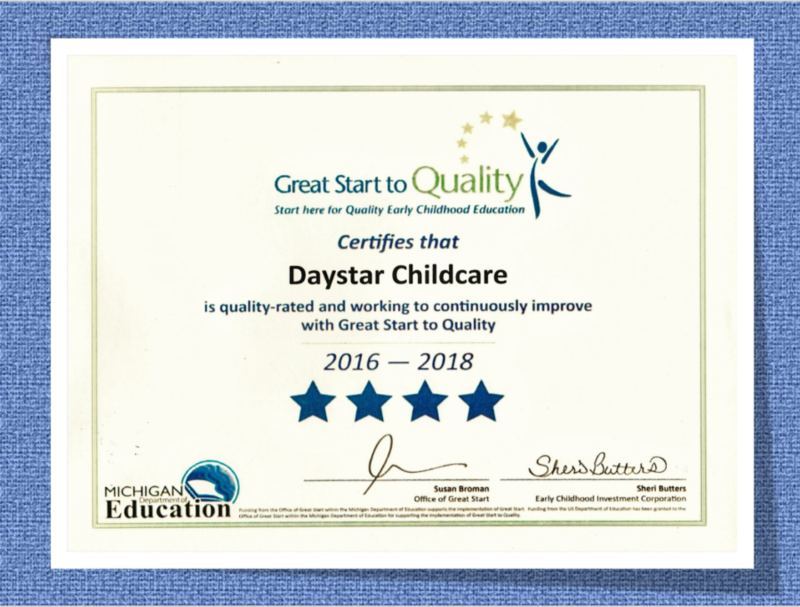 Daystar Childcare Center is the right place for your family.